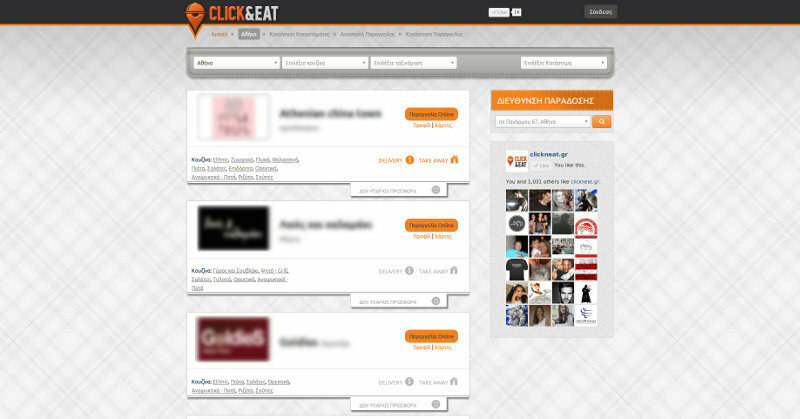 delivery.gr allows the user to search for his favorite store, through a user-friendly and easy search engine. 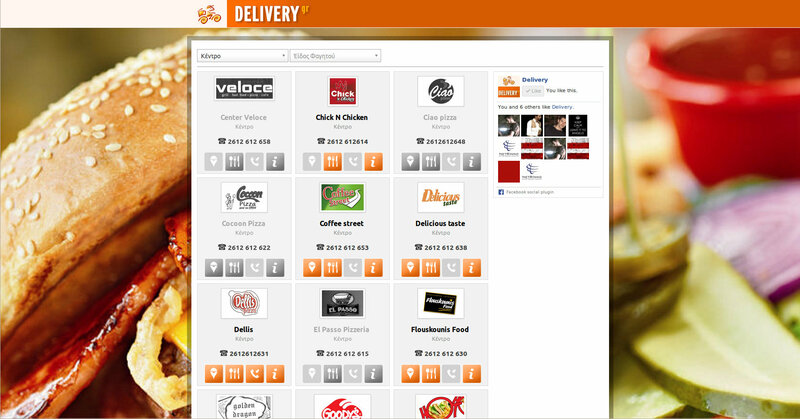 delivery.gr gives to the visitor the opportunity to go through the menu, the phone and the address of a store and give him the ability to call the store for free through the innovative service click and order. 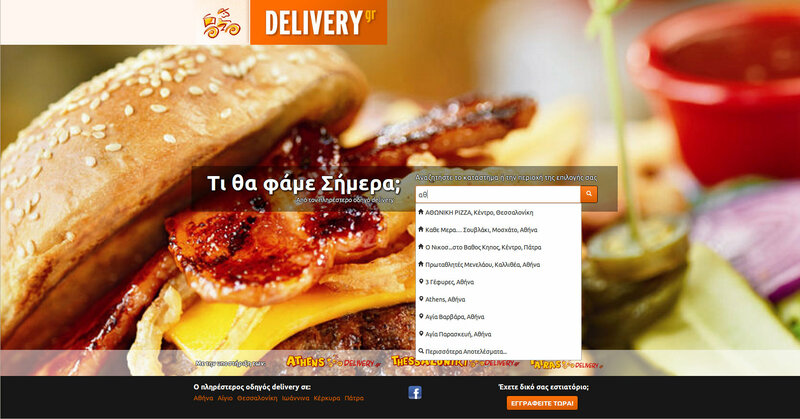 Visit the site at http://www.delivery.gr. 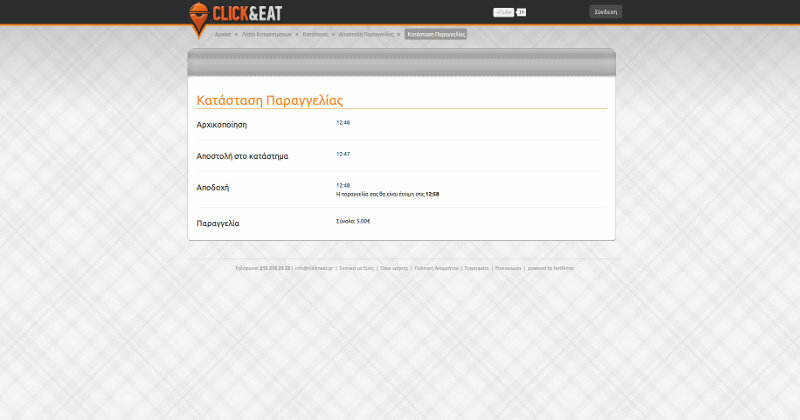 clickneat.gr gives the user the ability to order food online through an intuitive web interface or via innovative mobile applications (android and iOS) without needing registration. 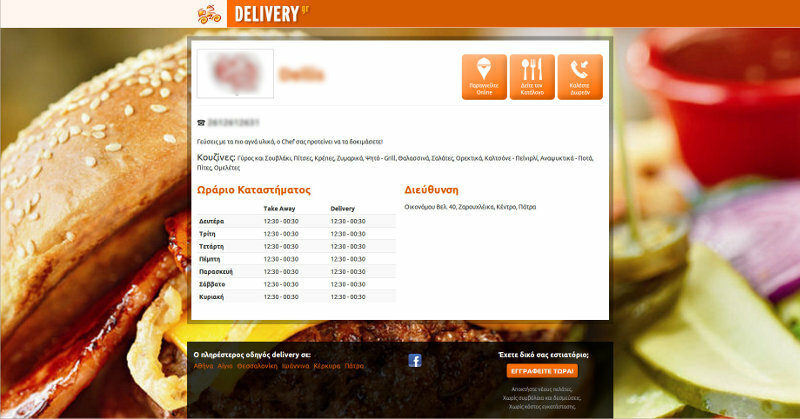 Using the innovative service IVR-TTS, the order arrives at the store's telephone in speech format. The system allows the interaction with the customer, using IVR, informing about the delivery time as well as whether the order is acceptable or not. 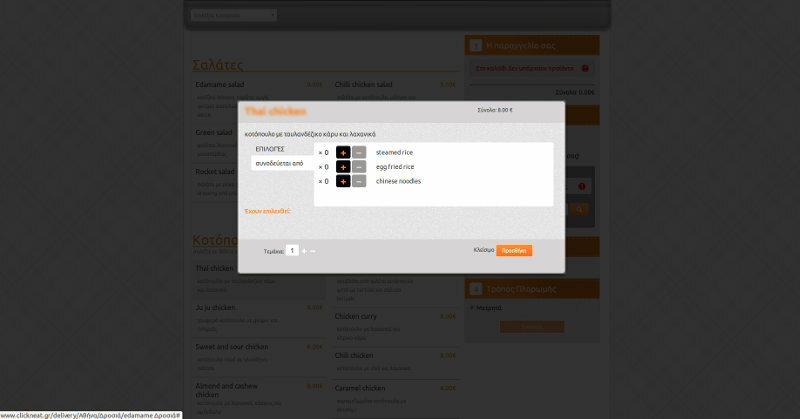 The restaurant receives the order on a mobile phone via SMS and after a short period of time the automated system (see above) continues the procedure. 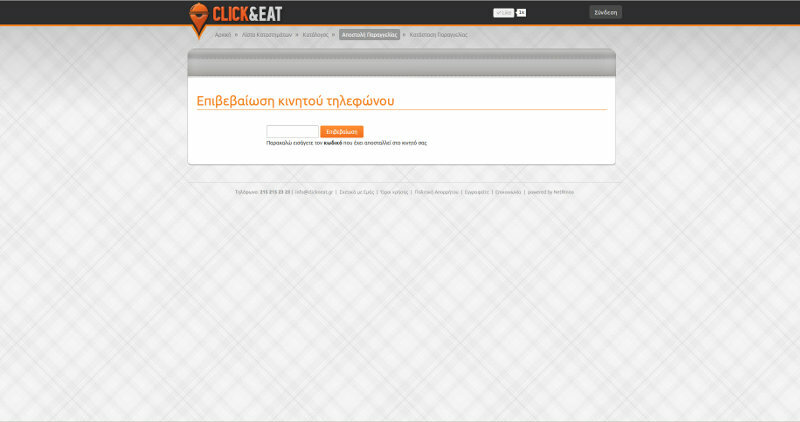 In case the restaurant has the necessary equipment (PC, internet connection and optional a printer) it can fully manage orders, products and other information through our cross-platform Java application. 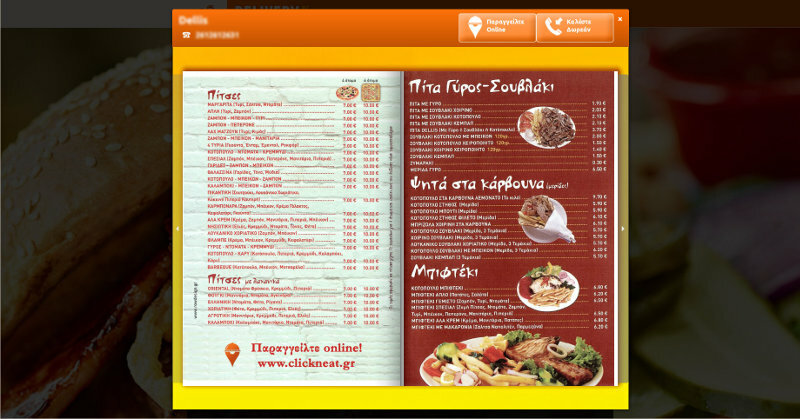 In case the restaurant owns an android based device (along with an internet connection and optionally a printer), it can fully manage orders, products and other information by installing 'clickneat Restaurant' android application. 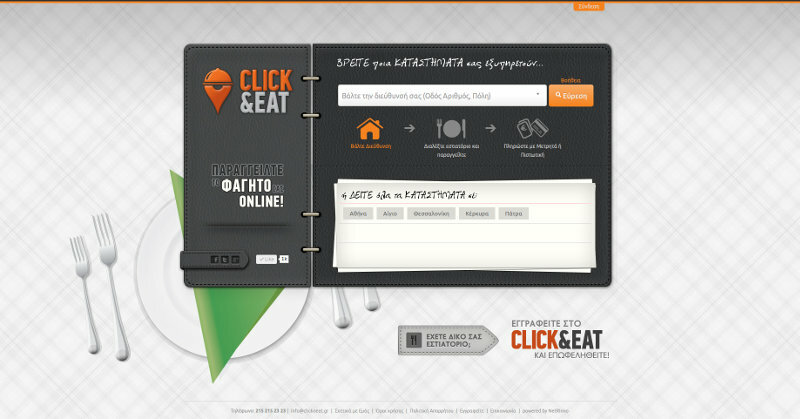 Visit the site at http://www.clickneat.gr.